SUMMER SEASON REGISTRATION NOW OPEN!! 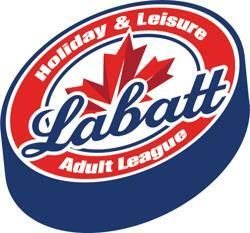 Our upcoming 2019 Spring-Summer ADULT Hockey Leagues, sponsored by LABATT, are set to begin play in MAY @ Holiday and Leisure Rinks. Team Captains must register their team in advance of their players (Select Captain Registration on Right) and pay a $500 deposit to ensure a spot. Following the team creation, each player may register for their team, a minimum of 48 hours before their first game, in order to be considered "legal" and eligible to play. Team Credit in the Hockey Shop! Lowest price per game rate in WNY! If you have any questions regarding the Labatt Adult Hockey League please contact Commissioner Spencer O'Neill at the rinks 716-675-8992 (Leisure). Players unaffiliated with a team are also welcome to register for our Player Pool. Fill out the Labatt Hockey Individual Application and we will do our best to find a team that needs players. Players are required to go online to renew your current USA Hockey Insurance. CLICK HERE TO GET YOUR 2018-19 USA HOCKEY INSURANCE. Players must bring a copy of the USA Hockey Insurance confirmation in order to participate. The current USA Hockey/NYS Fee is $43 for all players/coaches. THE 2018-19 WEEKDAY PLAYOFFS ARE BACK!